BRUSSELS (Reuters) - Japanese drugmaker Takeda Pharmaceutical <4502.T> is set to win conditional EU antitrust approval for its $62-billion bid for London's Shire, the biggest ever overseas acquisition by a Japanese company, two people familiar with the matter said on Friday. 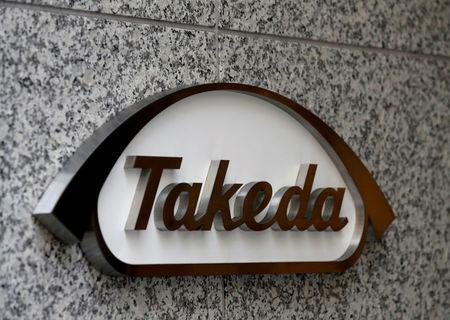 Last month, Takeda offered to divest Shire Plc's pipeline compound SHP647 along with some associated rights after the European Commission voiced concerns about the overlap with its own drug for inflammatory bowel disease called Entyvio. Entyvio, a treatment for Crohn's disease and ulcerative colitis, is Takeda's biggest-selling drug. Shire's shares moved into positive territory in London following the Reuters story, closing up 0.28 percent. Its U.S. listed shares recovered some earlier losses after the story. Takeda is looking to the acquisition to boost its late-stage pipeline. Rare disease specialist Shire has seven drug candidates in Phase 3 clinical trials compared to its three. The deal would also make it a global top 10 drugmaker. The EU competition enforcer, which is scheduled to rule on the deal by Nov. 20, and Takeda declined to comment. Shire did not immediately respond to a request for comment.